Shanti Memorial Hospital Pvt Ltd in Cuttack has entered into a joint pact with OMNI hospitals based in Hyderabad to expand and upgrade its facilities, and evolve faster into a recognised healthcare chain in Odisha. The new hospital will be called the Shanti OMNI Superspeciality Hospital. An expansion plan of the 110-bed hospital is also under the pipeline. Besides, it will add several new disciplines to its services in the near future which includes departments in Cardiology, Cardiothoracic Surgery, Paediatrics, Critical Care and Lifestyle Diseases under the joint pact. An MoU has been signed between chairman and managing director Shanti Hospital Dr Sreejoy Patnaik and Group medical director OMNI Hospitals Goutam Reddy recently. As reported by Express, the main purpose of the tie-up is to develop the hospital into a Centre of Excellence setting benchmarks in top quality patient-care services and inculcation of advanced treatment, Dr Patnaik said. “OMNI Group, which runs five super speciality hospitals across Andhra Pradesh and Telangana, has some of the best doctors in India, be it Cardiology or Ortho Oncology and this will benefit the people of Odisha. We would be adding a host of new facilities with a new block within next three months. The block will house OPDs, a state-of-the-art dialysis unit, Cathlab for cardiac procedures and an auditorium. 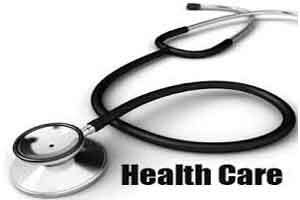 We are also going to start a nursing college soon,” Dr Patnaik said. He also announced plans for setting up a new hospital which would be located between Cuttack and Bhubaneswar along NH-5. The proposal has been submitted to the State Government. It would be a multispeciality hospital with specific focus on Trauma Care. Besides, there are also plans to open hospital and centres in other parts of the State, he added.